Don’t let the clouds today keep you at home this weekend. 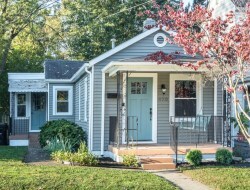 We have charming and fully renovated shotgun style home we would love to introduce to you in the Germantown area of real estate Louisville. This home is move-in ready. And with its inviting appeal you’ll want to move in as soon as possible. 970 Samuel St 2 bedroom, 2 bathroom, shotgun style home is currently listed at $169,000. This home has several new features. The first is the kitchen that includes all stainless steel appliances, butcher block counters, new tile floors, and a gas stove. 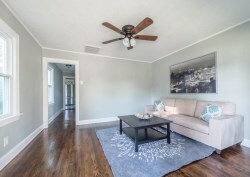 Refinished original hardwood floors stretch throughout the rest of the living space and one of the bedrooms. The master bedroom has the perfect en suite bathroom which is tastefully designed and decorated. The home also has hookups for stacking washer/dryer. Moving into the backyard is a pleasure. You will instantly notice the two tiered deck off the back of the home as well as the length and serenity of the yard. There is also a handy out building/shop. This home is very clean and neat. If you are interested please contact Jamie Klein or Scott Boehnlein of Family Realty.